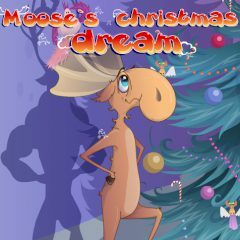 What a moose doesn't dream to become a deer? Especially in Santa's sled. And the main thing here is to have an indestructible will to win and to go to your aim without wavering. Practice, practice and practice again. You can come to your dream only through the ups and downs.